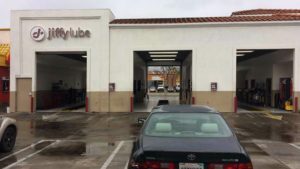 Jiffy Lube workers near the El Cajon offices of Rep. Duncan D. Hunter say they saw FBI agents several weeks before Thursday’s announcement that the Republican was under investigation by the Justice Department over alleged campaign finance violations. 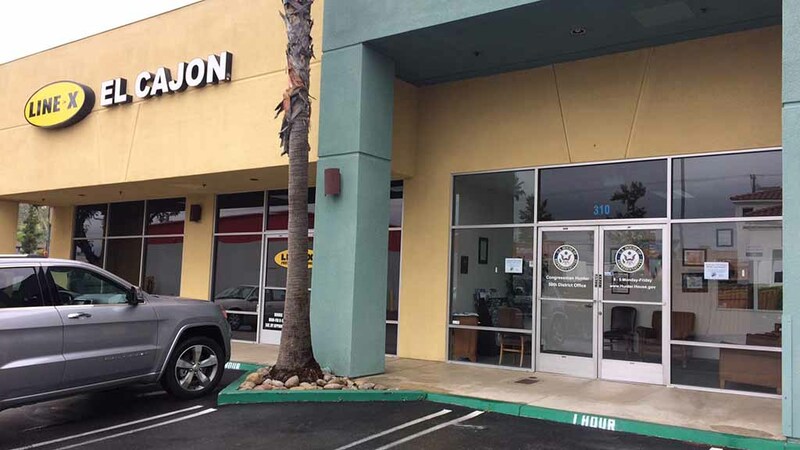 Times of San Diego spoke to workers at the North Magnolia Avenue strip mall where they have a clear view of the Hunter office just yards away. One lube worker said he saw the agents — identified by badges they wore on their belt loop — during a scheduled Thursday protest. The worker said he saw two or three agents, but that a morning manager saw “quite a few of them” earlier. 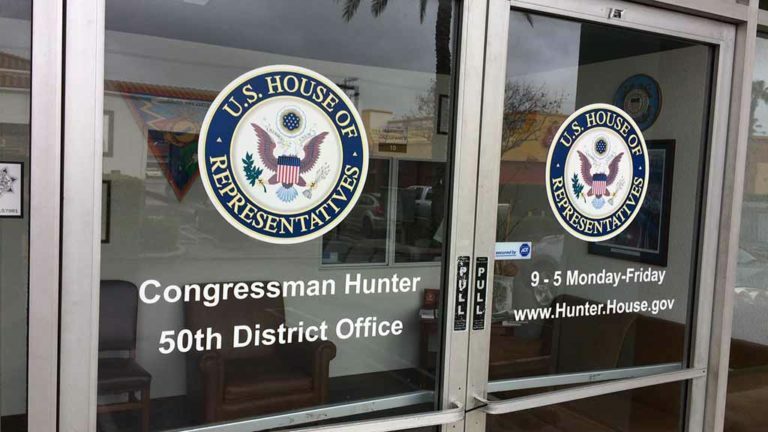 A member of the Indivisible East County San Diego group on Facebook confirmed the date of the Hunter office demonstration as Thursday, Feb. 23. On Thursday the House Ethics Committee revealed that Hunter is under investigation by the Justice Department. In a 216-word statement, the committee released a report of the independent Office of Congressional Ethics. However, the committee voted to postpone its review because of the Justice Department investigation. Joe Kasper, Hunter’s spokesman in Washington, did not respond to repeated requests for comment on the FBI presence. 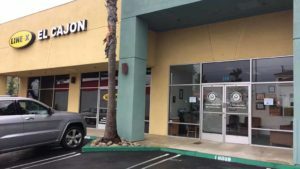 Ronda Rayzor, office manager at Hunter’s El Cajon outpost, declined to comment. FBI Special Agent Davene Butler, media coordinator for San Diego’s FBI office, said the FBI can’t confirm or deny an investigation. A spokeswoman for the U.S. Attorney’s Office in San Diego had no comment. 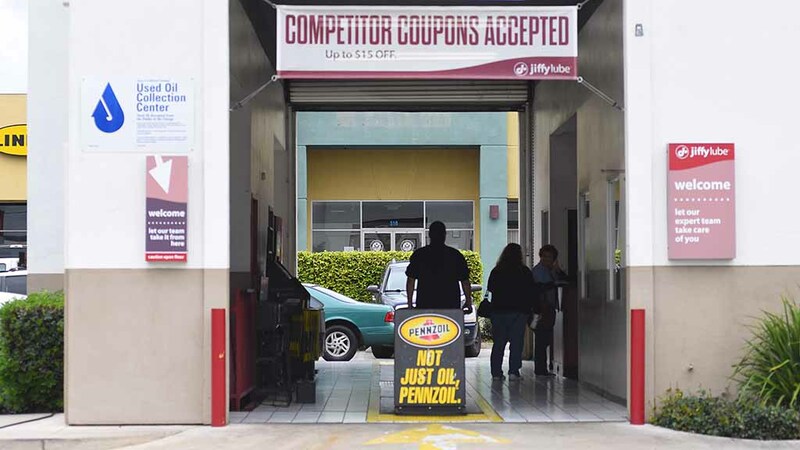 But The San Diego Union-Tribune was provided a statement by Elliot S. Berke and Gregory A. Vega, attorneys for Hunter. 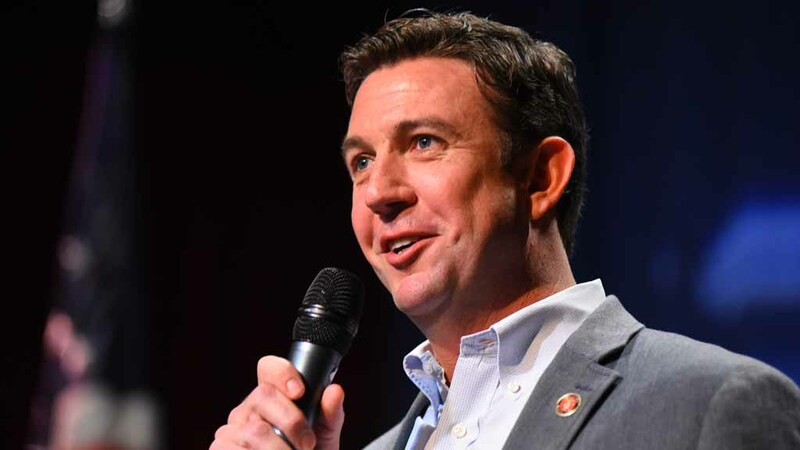 The House Committee on Ethics review was sparked by a complaint against Hunter originally submitted to the OCE by Citizens for Responsibility and Ethics in Washington, or CREW. At his March 11 Town Hall in Ramona, Hunter explained the “mistaken charges” to his campaign credit card. 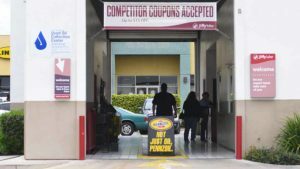 In January, Hunter spokesman and chief of staff Kasper told The San Diego Union-Tribune that the majority of the reimbursed charges were due to sloppy bookkeeping. “[Kasper] said all the campaign’s expenses have been thoroughly audited and the charges Hunter did not repay were all permissible,” the U-T said. 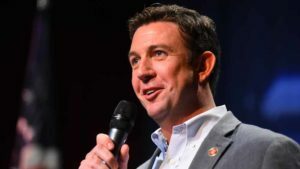 Meanwhile, a “Dirty Duncan Ethics Rally” has been scheduled for 11 a.m. Saturday at Westfield North County mall in Escondido by Indivisible East County San Diego, which targets Hunter’s 50th District. “DIRTY DUNCAN NEEDS TO BE HELD ACCOUNTABLE FOR HIS ETHICS VIOLATIONS! WE CANNOT LET HIM PASS WITH, “…end of story.” NO!!! It’s Illegal, Unethical, and just plain WRONG!” said a Facebook posting.